School of Electrical & Information Engineering, Northeast Petroleum University, Daqing. Postcard: 163318, China. With the rapid development of drilling technology, borehole has become increasingly complex demanding higher standards for downhole operation. The downhole mechanical analysis is an important part of the oil well production analysis. It is very important for the process of drilling, completion and work over operations. The previous operation based on experience has been unable to meet the modern production requirement in accuracy. 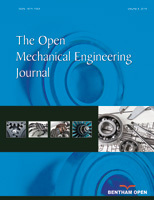 For the present situation of oil field information construction and the problems being confronted in the production process, this paper designs and implements the downhole mechanical analysis system based on .NET. This system can provide quick and accurate analysis results of downhole string in the process of well production and can also provide the basis for equipment selection and scheme selection in the production process. The design of this system mainly includes two parts: part one consists of the analysis of the deformation to the tubular column with the packer and the other part comprises of the analysis of frictional resistance of tubular column. This system has the advantages of simple operation, accurate calculation, clear analytical results and comprehensive analysis.